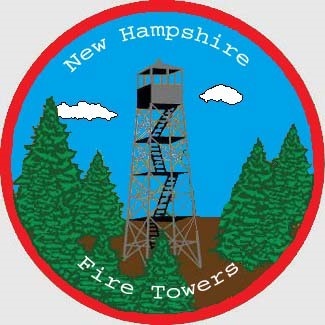 The objective is to visit all of the New Hampshire Fire Towers. Past & present. There are no rules regarding the method of getting to the Fire Tower sites. The only rule is to stand at the site of the current or former Fire Tower. Or, to stand at the "summit high point" of the peak or hill where the Fire Tower once stood. Some have trails. Some are bushwacks. Some are remote. And, some have access roads and are drive-ups. Some are located on Federal, State, City, or Town owned parks and properties. Some are located on private land. If you cross private land, please respect the land owner's rights, obtain permission as needed, etc. Please leave these sites as you find them so that future visitors may also experience these historic places. Removing, disturbing, or damaging historic artifacts and structures may mean a piece of history is forever lost. All have history!!!!! And, all are fun!!!!! Note: This is a "work in progress". There will be additions, subtractions, & updates to the list. All input is welcome and appreciated. Click on the link below to download the list of Fire Towers in a spreadsheet. Proposed: May or may not have been constructed. Visit the highest point on the hill or mountain. * Access to Corbin Park is no longer available to anyone other than members. We see no reason not to award the patch and certificate to those who visit all but the Croydon Peak Fire Tower. Hoping, one day, access will again be allowed. Private property and privacy issues will preclude this location from being a site on this Fire Tower List. This memorial acknowledgement, tribute, and recognition of Iris W. Baird whose historical research and data collection were the inspiration for this hiking list.